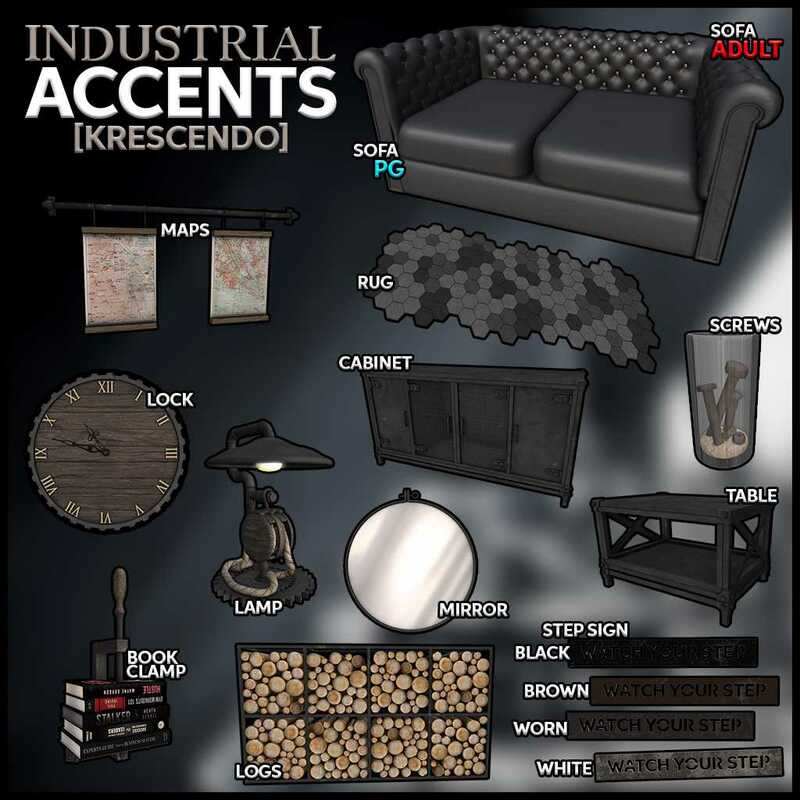 For Man Cave this month we're feeling the Industrial vibe with our newest gacha set. 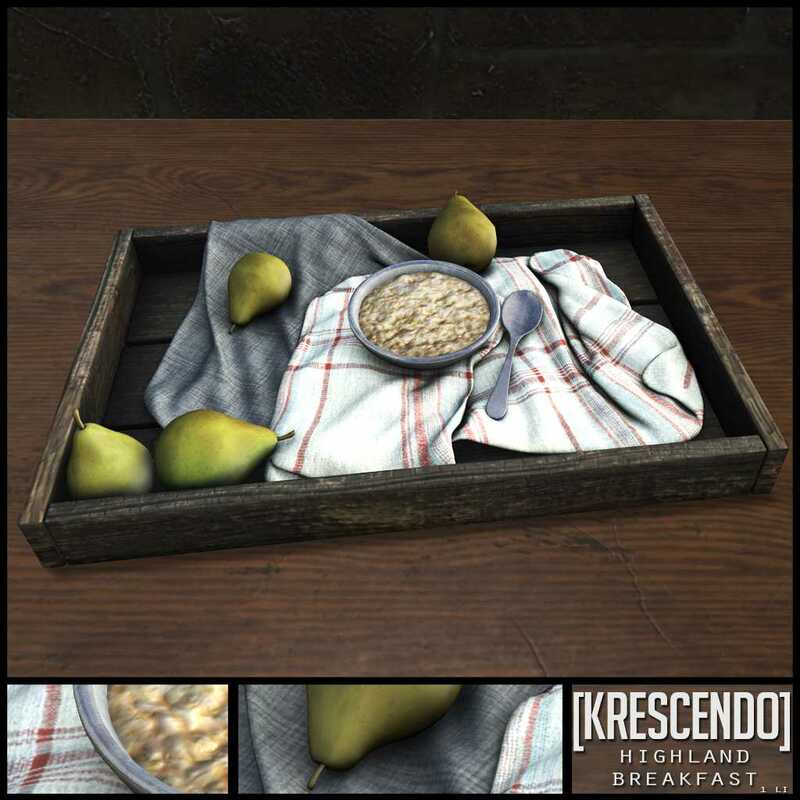 For this weeks Hello Tuesday we're having a delicious breakfast! 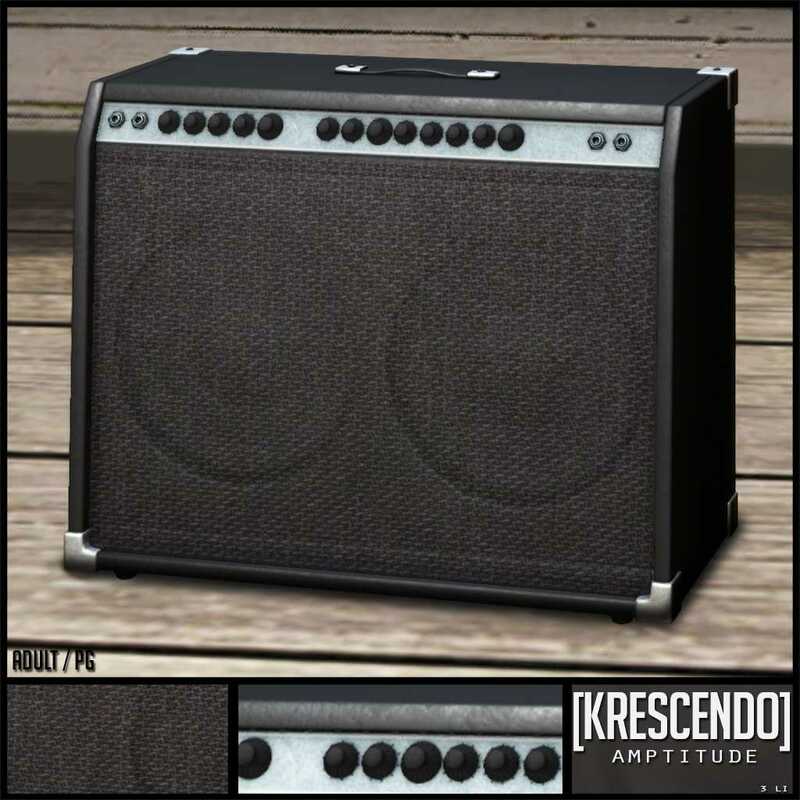 We wanna rock your socks off...literally, with our Amp for Man Cave! It comes in an Adult version or PG and is 3Li. 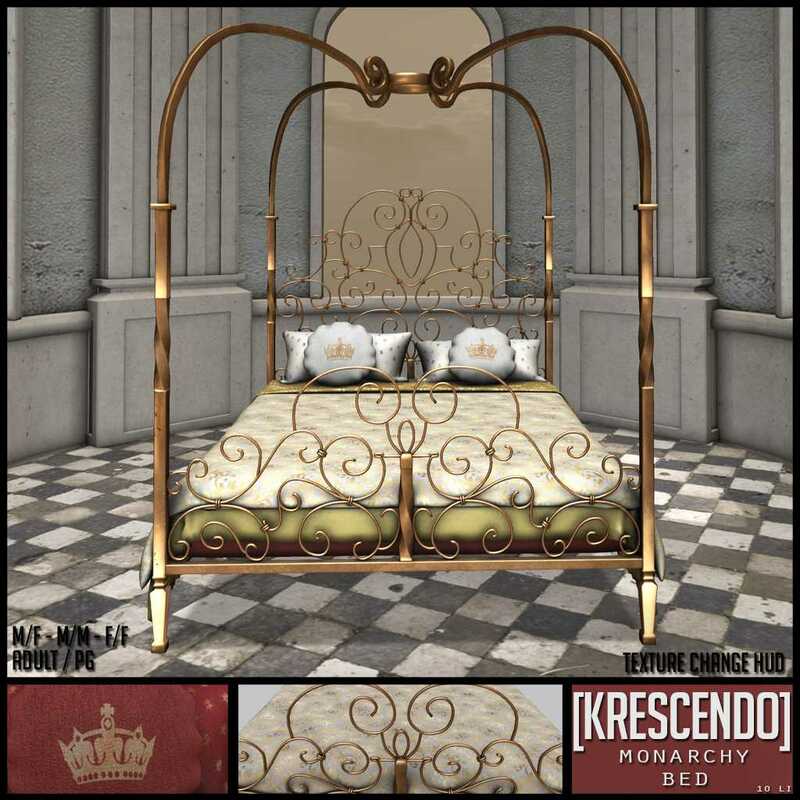 For this round of Cosmopolitan we're feelin' all sorts of romantic with our Monarchy bed! It comes with a hud to change the fabric colours and is 10Li. 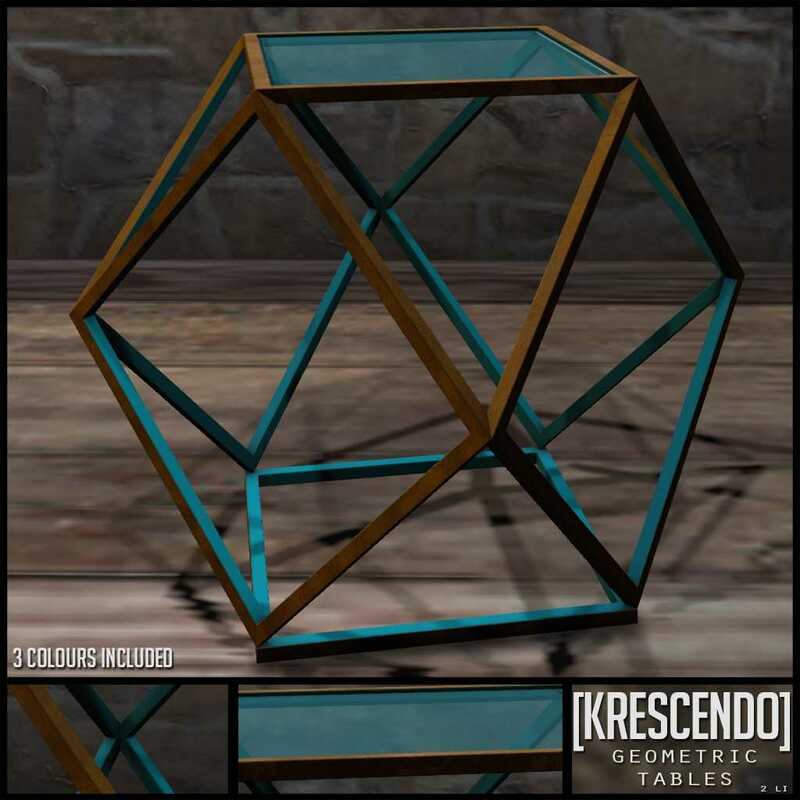 For Hello Tuesday this week we have a set of 3 funky Geometric tables! 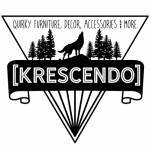 [Krescendo] is a Second Life store selling quirky furniture, decor and more.